Each Lacomba grain is fried according to classic Brazilian technology. That's why our coffee is so rich, strong and sweet aftertaste. Brew a cup of coffee and enjoy the ease of being. It's Lacomba! Carefree coffee with Brazilian taste to life. Do you want to know everything about classic Brazilian coffee? Prepare Lacomba Classimo – the perfect day cup of coffee – just for fun! And you will feel the richness of strong coffee and at the same time the softness and… sweetness that slowly flows into the honey aftertaste. 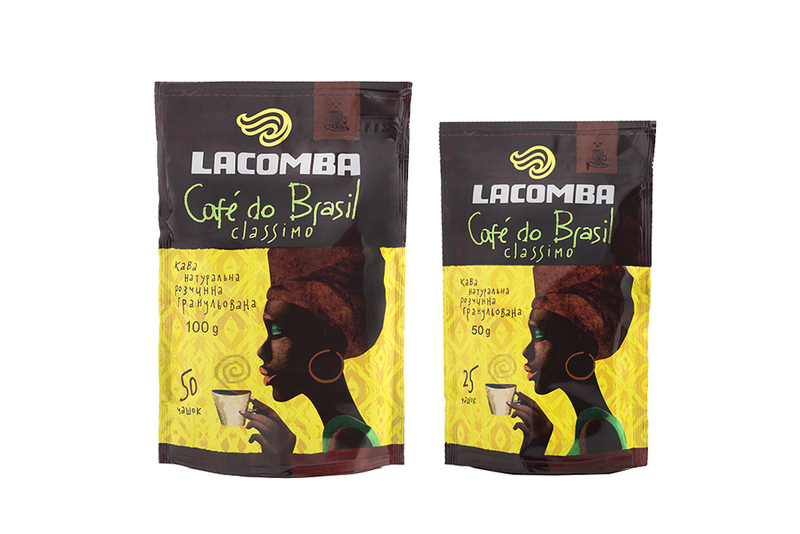 Lacomba Classimo – classic of traditional Brazilian coffee – will grant you a carefree relaxed enjoyment during the day. Lacomba Classimo coffee can be brewed in several ways, each of which will reveal coffee in its own way. With a coffee machine – fill the grains in a coffee machine and make coffee. Right in a cup – 2-3 teaspoons of coffee to be poured with 150 ml of hot water (maximum 90 degrees) and let it brew for 4 minutes. Through a filter in Brazilian manner – put 2 teaspoons of coffee in a filter and pour 100 ml of hot water (maximum 95 degrees). In a drip coffee maker – put 2-3 teaspoons of coffee in a filter of the coffee machine, pour 150 ml of water. Brazilians savor every sip of precious coffee, but we are not always able to treat ourselves with luxury of afternoon siesta. 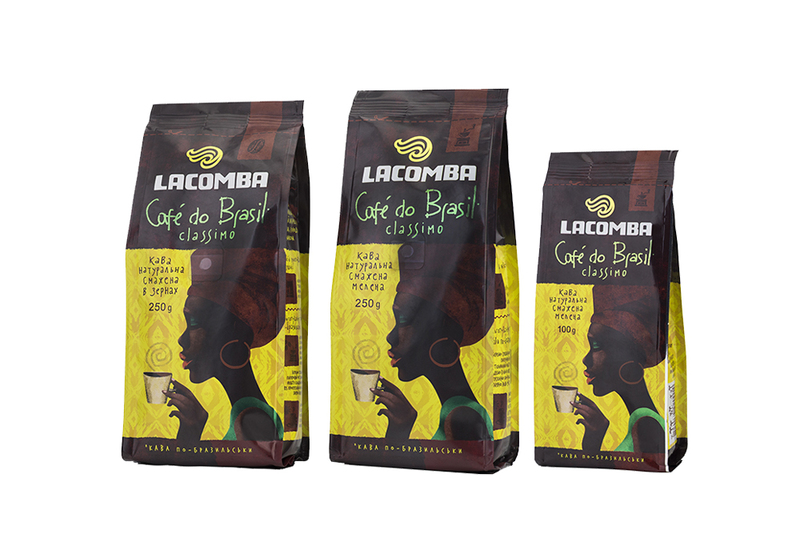 Instant coffee Lacomba Classimo is for those who appreciate the convenience and wants to enjoy a cup of a favorite drink anywhere, regardless of time of day. 1-2 teaspoons of coffee to be poured with 150 ml of hot water. To get maximum pleasure, add milk or cream, sugar or chocolate to the cup. Instant coffee Lacomba Classimo may be the basis for any dessert coffee. Brazilian black coffee is for those who loves it «hot». The word «breakfast» can be translated as from the Portuguese language as «morning coffee» (café da manhã), and the Brazilians prefer to have breakfast with a coffee, which has a strong character: tart, strong, saturated, with a pronounced flavor. It is worth to wake up for the sake of such a coffee! 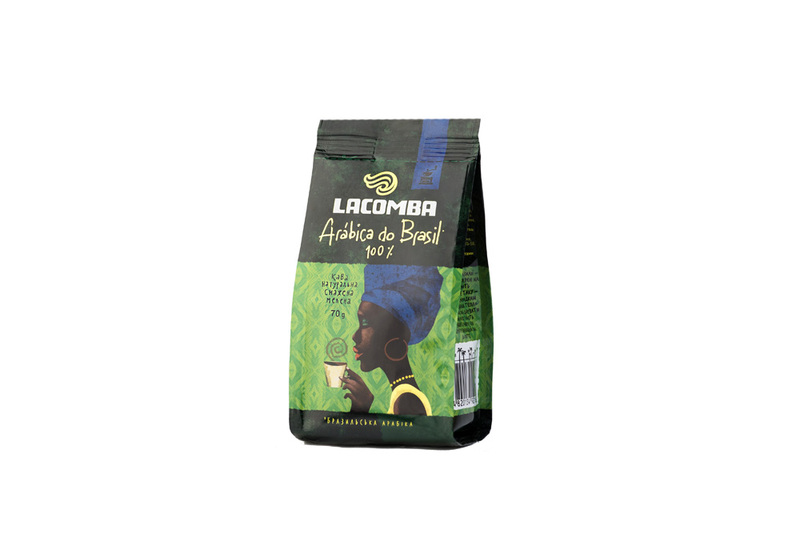 Lacomba Forte will provide you with a burst of energy, independent of the way you brew it, but we recommend the simplest and the most proven way – brewing in a cup. Directly in a cup – 2 teaspoons of coffee to be poured with 150 ml of hot water (no more than 90 degrees) and let it brew for 4 minutes. Add milk and sugar to taste. Dark as a Brazilian woman’s skin. Round like her figure. Soft as her look… Arabica do Brasil Santos – the embodiment of Brazil in a cup. Grown at haciendas in the state of (Minas Geraes), Arabica Santos is considered one of the most popular varieties of South America. Strong coffee with a soft rounded aftertaste, thick and rich, will bring you relaxation of the siesta, immerse you in dreams of warm countries, gives you the pleasure to feel the taste. 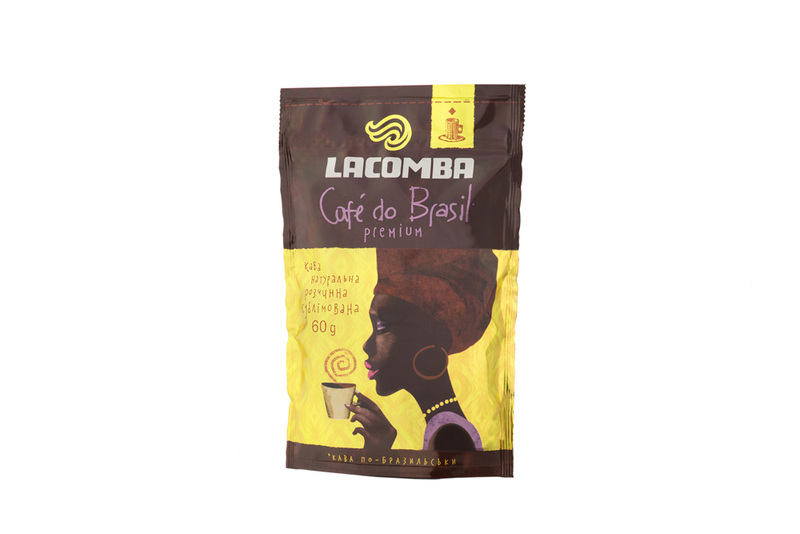 Ideal for brewing through a filter (Brazilian way): you will feel a rich, even taste without distracting taste notes, inherent in exotic varieties. Through a filter in a Brazilian way: – put 2 teaspoons of coffee in a filter and pour 100 ml of hot water (maximum 95 degrees), add milk and sugar to liking. In the drip coffee maker – 2-3 teaspoons of coffee put in a filter of the coffee maker, pour 150 ml of water. Coffee MIX Revolution on the Ukrainian coffee market - the stick for a large cup of coffee 250ml! You are tired to buy 2 sticks for drinking your favorite cup 3in1? 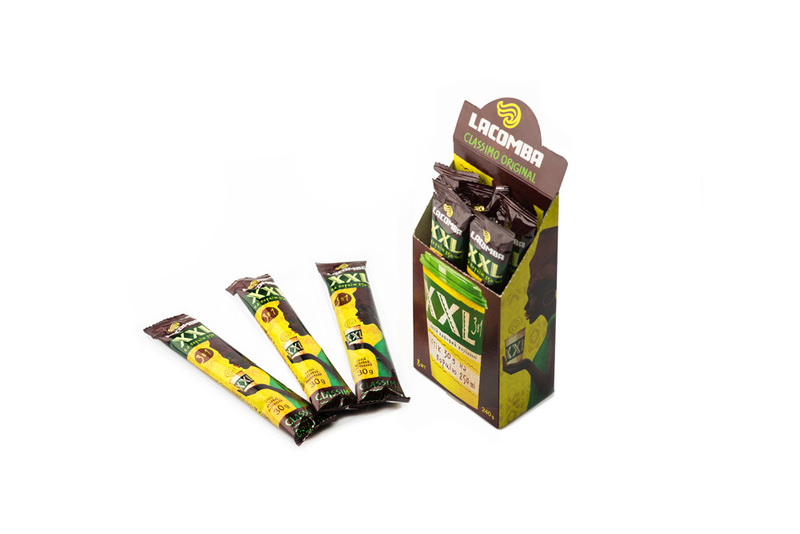 Now you have Lacomba Classimo Original XXL stick 30 g! The classic taste of Lacomba Classiimo - rich, soft, with a sweet milk notes provides relaxed pleasure and makes your coffee break really long and tasty. Enjoy Brazil! 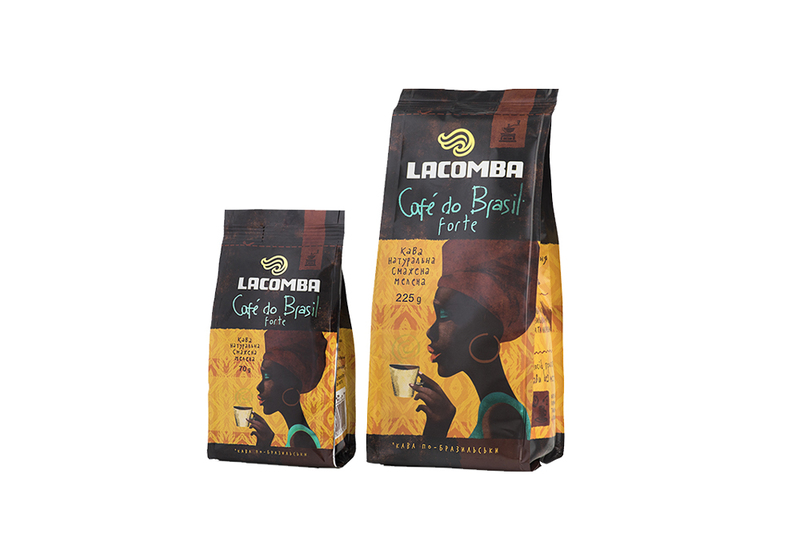 A real Brazilian coffee - bright, rich, with delicious wine taste. Its bright aroma, which absorbed the warmth of the tropical land - the result of a special freeze-dried technology. A barely noticeable sourness will appeal to coffee gourmets who are accustomed to the delicate taste of premium coffee, and to fans of classic strong coffee. 1-2 teaspoons of coffee pour 150 ml of hot water.